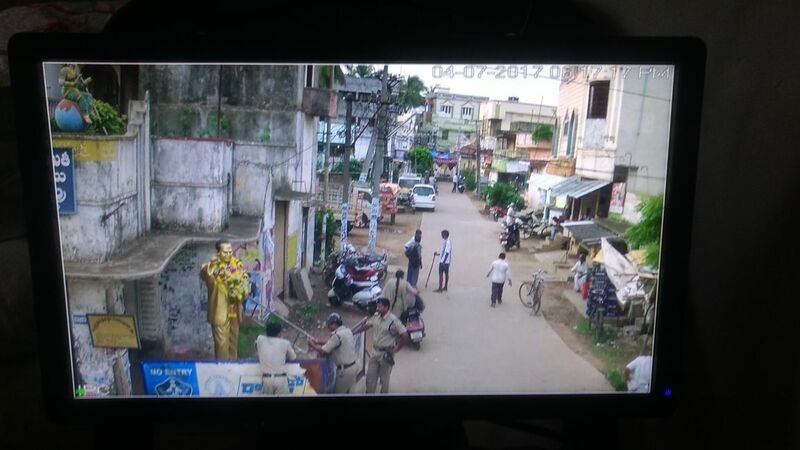 Members of the 14 other castes in Garagaparru village in West Godavari district have boycotted Dalits from the Mala community after a skirmish over an Ambedkar statue. On June 3, 2017, Ramu, a doctor, was asked by the Kapu owner to vacate his two roomed hospital in Garagaparru village of Palakoderu Mandal in West Godavari district. “I treated some Dalits in the preceding week. So, the landlord asked me to vacate the room on the pretext that he wanted to ‘start a business’,” said Ramu, who has been practicing medicine at the same place for the past 18 months. 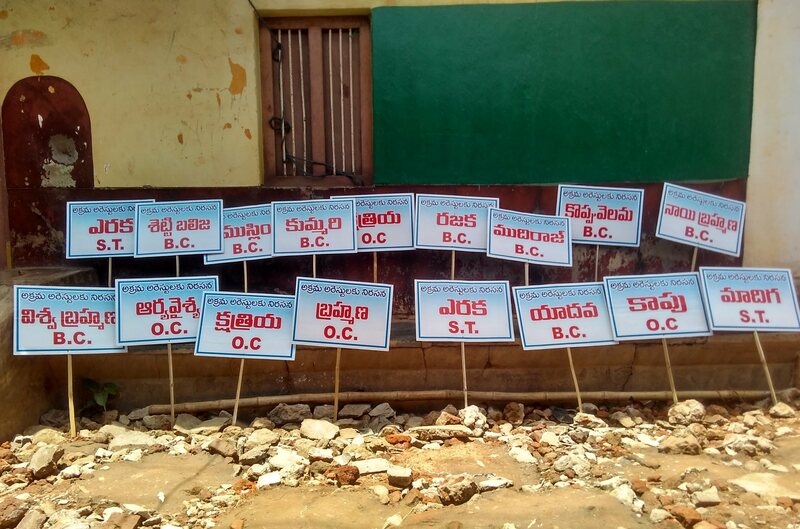 Twelve hundred Dalits belonging to the Mala community of Ambedkar colony in Garagaparru are currently facing one of the most brutal social boycotts in the history of Andhra Pradesh. Godi Vijayendra Rao, 62, has been working as an agricultural labourer for more than 30 years in the fields of the Kshatriya (Rajus, in local parlance) landlords, who control more than half of the land in the village. “All the agricultural workers, tenant farmers, aqua workers and tractor drivers working on the resources of the landed castes for their livelihood were driven on May 5,” says Rao, who is now left with no livelihood like most Dalits in the colony. Agricultural wages in the Godavari delta region are comparably high at Rs 300 per day compared to the rest of the state due to high productivity. “The heads of the rest 14 castes in the village met in Sivalayam (the village temple) on April 26 and decided that anyone who employs us will be fined Rs 10,000 and anyone who speaks with us will be fined Rs 1000,” said Pathe James, 39, a tenant farmer whose Kshatriya landlord withdrew his lease to the land James had been tilling for the last five years. “The landlords are even calling up their counterparts in other villages and instructing them to not give us work,” says Gudise Abraham, 53, another tenant farmer who pays back 26 sacks of paddy, each 75 kgs, as the lease amount to the landlord. The Dalits allege that CCTV cameras have been installed by the upper castes to monitor who is talking to the Dalits and entering their colony. One such CCTV camera footage is seen by this reporter in the panchayat office, when he went to speak with the sarpanch, about this issue. “The Kshatriyas and Kapus, who own most of the land in the village, used the livelihood opportunities which will be vacated by the Malas as a bait for the backward castes (Yadavs, Rajakas and others), Madigas (Dalits) and Yerukula (tribes). That is how they were able to pit the 14 castes together against one. This is how caste system works,” adds James, who is educated only till class 6, but minces no words in attacking the Brahminical caste system, for which he duly credits Ambedkar and his writings. Trouble started late in the night on April 23, when some Dalit youth of the Lutheran Sangham of Ambedkar colony (also called Christianpeta) set up a statue of B.R. 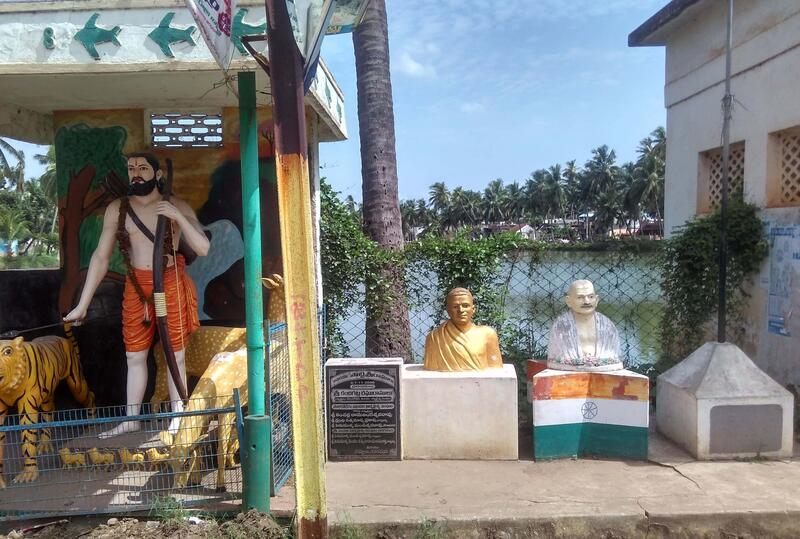 Ambedkar on the bank of the village pond, where statues of Mahatma Gandhi, Alluri Sita Rama Raju and Potti Sreeramulu already exist. Dalits from the colony became Christians soon after independence and subscribe to Lutheran theology. They formed a sangham about five years ago. They slowly started asserting their stigmatised identity and their emancipator Ambedkar using the Lutheran Sangham as a platform to conduct meetings and mobilise themselves. “The idea to float the statue was first thought of three years ago. Since then, we have been asking for permissions, but we got none even though the sarpanch is a Mala. 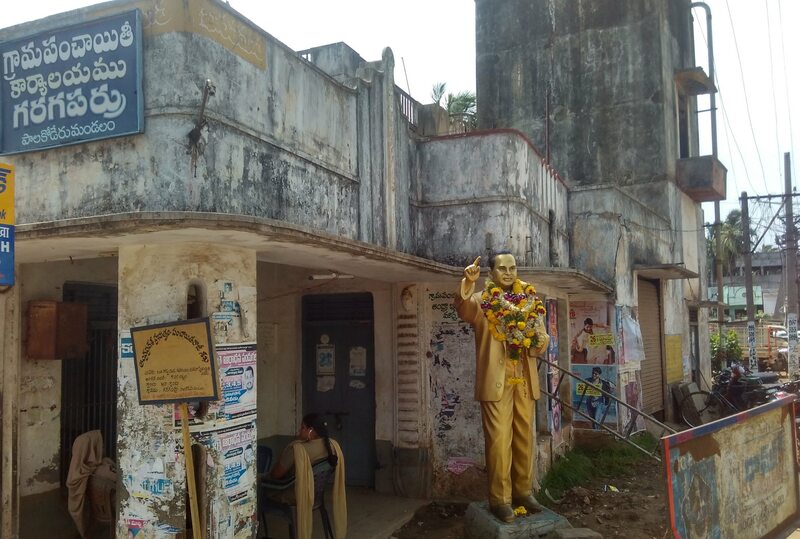 So, the Sangham pooled up Rs 45,000 this year and set up the statue,” says Vipparthi Yesupadam, 50, who lost his tenancy after the alleged social boycott. This growing assertion of the Dalits, who had been docile because of their dependence on the landowner castes, hurt their ego. The statue, which was erected on the night of April 23, went missing even before the sun rose the next morning. 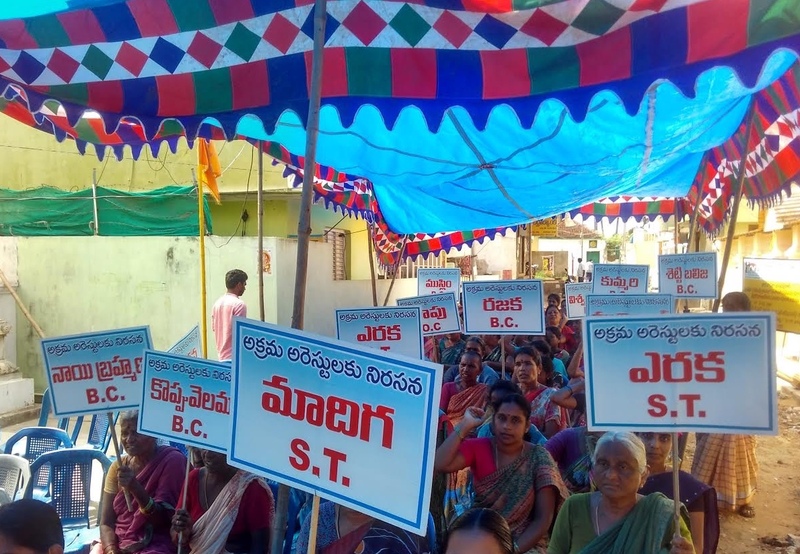 Agitated, around 1000 Dalits blocked the Bhimavaram Tadepalligudem state highway all day, forcing the sub-collector of Narsapur to come to speak to them. The Dalits alleges that some youth belonging to the upper castes removed the statue and hid it in the old panchayat office. The sub-collector ordered for a search to be conducted and ensured a temporary truce between the warring groups by having it temporarily placed at an alternate space – right outside the old panchayat office, keeping in mind the high court’s stay order. But this clearly upset the landed castes and an open social boycott was orchestrated. “You can have temples. You can have the statues of the upper caste men. But, you will invoke all laws and judgments of the land, when we wanted to install the statue of Ambedkar. The Rajus sit in the verandah of the temple and if installed, Ambedkar’s statue will point a finger towards them. How can a lower caste man point his fingers towards the men from landed castes? Doesn’t matter that the lower caste man is none other than the maker of our constitution,” says Abraham, delving a little deeper into the root of the conflict. Back in the Lutheran church in Ambedkar colony, rice, onions, vegetables and other edible items are being stocked up. Many mass organisations, progressive individuals and Dalit organisations from surrounding villages are pooling in resources – food and money – to take care of the minimum necessities of the Dalits, who have been without a livelihood for more than two months now. “All the 1200 Dalits have been eating here since the past two months, two times a day. 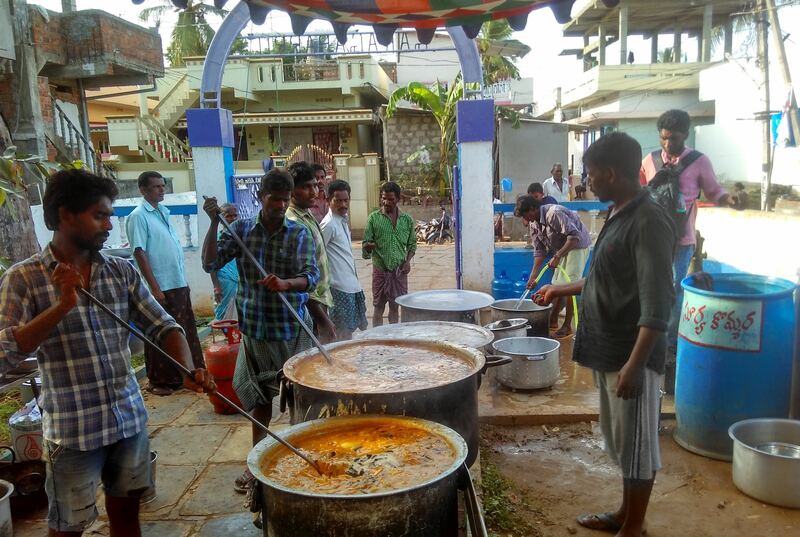 We haven’t received even a single penny from the government yet,” says Kunchanapalli Aadam, 42, who has been part of the vanta-varpu (cooking and dining) programme, ever since it started. “Since we don’t have work, we are left with all the time to fight,” he adds laughingly. On June 29, two months after the incident, the three accused, Balaramaraju, Ramaraju and Srinivas, were under the SC/ST Prevention of Atrocities Act, but only after a protest by the Dalits, which was supported by mass organisations like Kula Vivaksha Porata Sangham, Mala Mahanadu and political parties like the CPI(M). Since then, members of all the 14 castes are sitting on a relay hunger strike condemning the ‘false arrests’ of their leaders. In this context, the peace committee set up by the district administration lacks any authority since the Dalits are not ready to take part in the meetings unless the relay hunger strikes end. There are only three Yerukula (tribal) and three Madiga (Dalit) families in the village. But there are placards supposedly representing these communities at the relay hunger strike, often carried by people not belonging to Yerukula and Madiga communities. Venkateswarlu, 67, a Yerukula by caste and who ekes out his living by selling pork, doesn’t have any idea that his identity is being used to demand the release of the accused. “These conflicts should end and both sides should ensure that the normal village atmosphere as soon as possible,” says Venkateswarlu, whose house is in the same colony as the Malas. The Dalits laugh at the idea that they are boycotting the rest of the 14 castes. “How can one caste boycott 14 castes? Who has land? Who has capital? Who has political and judicial power? If it is they who have everything and we are dependent on them for our livelihood, how can we boycott them?,” Abraham asks. The Dalits fear for their life and are demanding safety from the landed castes and their leaders. Other demands include two acres of land, a government job for each Dalit family and a compensation of Rs 2 lakh according to SC/ST Act. They say they will fight till all their demands are met. 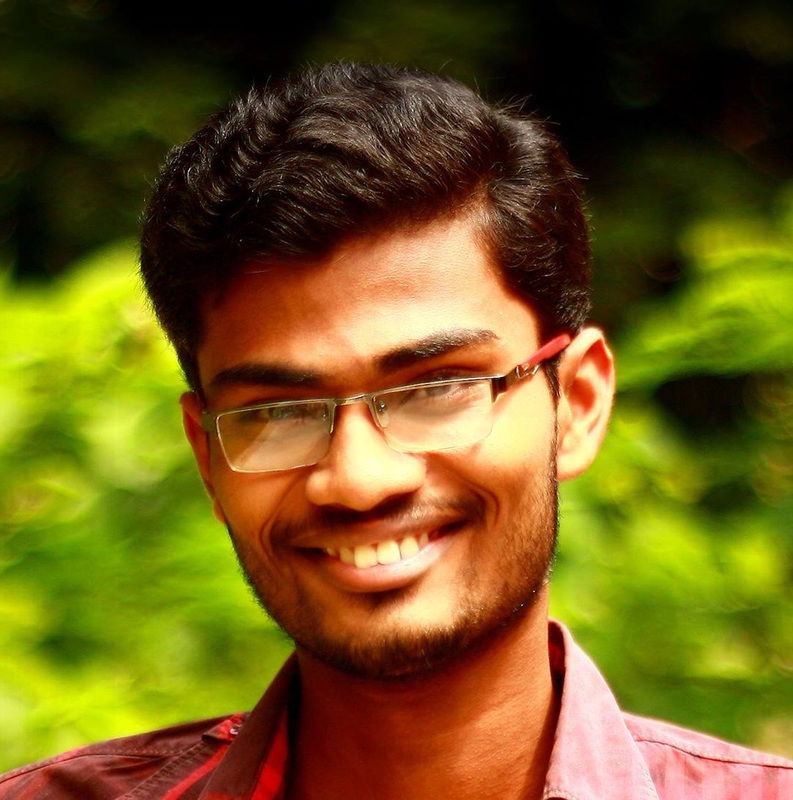 Rahul Maganti is an independent journalist based in Vijayawada, Andhra Pradesh.